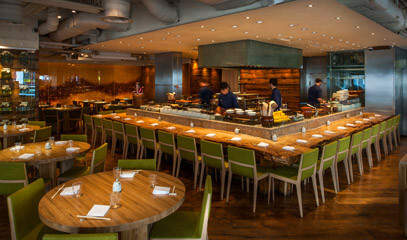 Translating as ‘born of nature’, Umu was born of a passion for bringing timeless Japanese cuisine into the modern age. In a sophisticated and welcoming setting in the heart of exclusive Mayfair, Chef Yoshinori Ishii gracefully serves simple yet artistically-presented dishes with flair. Delve into a traditional eight-course kaiseki tasting menu that focuses on presenting natural ingredients at their finest.